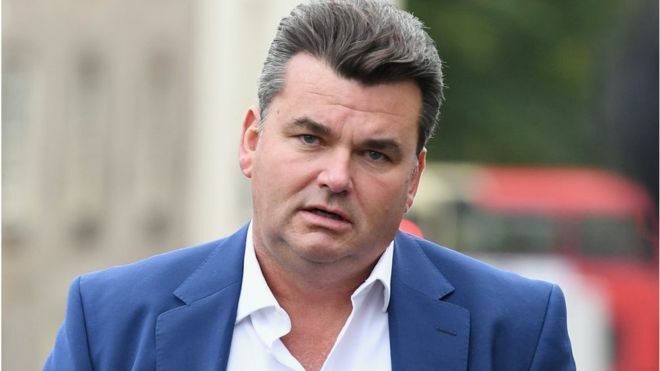 Dominic Chappell, the former owner of BHS, has had his appeal dismissed by a judge who said he gave "entirely unbelievable" evidence. Mr Chappell was convicted for failing to provide information to the Pensions Regulator (TPR) and ordered to pay £87,000 in January. Department store BHS collapsed with the loss of 11,000 jobs and a pension deficit of £571m. Mr Chappell bought BHS for just £1 from billionaire Sir Philip Green in 2015. The businessman, who gave his address as Clenston Manor, near Blandford, Dorset, was issued with two notices under the Pensions Act 2004, in March and April 2016, before being handed a warning notice in November that year. Alex Stein, prosecuting, told the appeal hearing at Hove Crown Court that the crux of the case was that Chappell "failed to respond" to the three statutory notices. Judge Christine Henson QC said the majority of his answers during the hearing were "not credible". "We are sure Mr Chappell had access to information which would allow him to answer the majority of information required," she said.